Gerald Aungst is the supervisor of gifted education and elementary mathematics for the School District of Cheltenham Township, in Pennsylvania. Prior to his service as an administrator, Gerald taught mathematics at the elementary level for eighteen years in both the regular classroom and as a gifted support specialist. He also ran a summer remedial program for elementary students for four years and served as the lead teacher for science during a major curriculum transition. Most recently Gerald has been part of his district administrative team leading the transition to the Pennsylvania Core Standards and training teachers in high quality math instructional practices. A longtime advocate of the power of technology to empower students and enhance learning, Gerald was the first in his school to embrace tools like blogging and wikis to allow students to collaborate across schools and to give parents a window into the classroom. Gerald is a cofounder of the websites All About Explorers (www.allaboutexplorers.com) and Connected Teachers (www.connectedteachers.org). He has been a member of the Alliance for Excellent Education's Project 24 Team of Experts and the Digital Learning Day planning team. He also served on the national Administrator Task Force for the National Association for Gifted Children (NAGC) and has been a member of the board of directors for the Pennsylvania Association for Gifted Children (PAGE). Gerald is an experienced speaker, and was a member of the keynote panel and a featured presenter at Digital Learning Day 2013. He has also presented at national and state conferences, including the International Society for Technology in Education (ISTE), FETC, EduCon, the Pennsylvania Educational Technology Expo and Conference (PETE&C), ITEC, NAGC, and the Carnegie-Mellon Institute for Talented Elementary and Secondary Students. Gerald is also on the organizing team for Edcamp Philly. 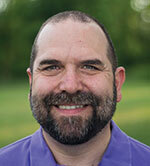 Gerald holds a bachelor's degree from Penn State University and a master of education degree from Widener University. Gerald blogs at his website (www.geraldaungst.com) and is a regular contributor to Brilliant or Insane (www.brilliant-insane.com) and his writing has appeared in ASCD's Educational Leadership magazine and a chapter in the book, Teaching Literacy in the Digital Age: Inspiration for All Levels and Literacies. You can find Gerald on Twitter at @geraldaungst.